The North York Blues beat the Woodslee Orioles 8-2 in the final game of the 54th annual, 11-team Baseball Ontario bantam tourney at Talbot Park. Austin O’Boyle was the winning pitcher in the final going 4-for-4 at the plate. North York, coached by Anthony Rhynold, won its sixth OBA title by beating the Brampton Royals 8-3, East York 2-0, Woodslee 3-2 and the London Badgers 6-2. Woodslee made the final game necessary by virtue of a 1-0 win over the undefeated Ontario champion North York. Woodslee’s Garik Godard, who earned his second win with the 1-0 win over North York earned the Marty Philp award as outstanding pitcher. O’Boyle won the Fred Kennedy award as MVP. Minor bantam AAA: The Mississagua North Tigers won the 18th annual minor bantam title, knocking off North Toronto 8-5. The tournament MVP was reigning Baseball Ontario Youth Player of the Year Josh Naylor. The Tigers defeated the Mississauga Majors 11-4, Kitchener 8-2, West Toronto 6-2, and twice knocked off Riverside by 2-1 and 12-2 scores. This season, the Tigers went 20-0 in COBA regular season play and went undefeated in the COBA playoffs. They were champions of their home tournament as well as ones in Vaughan and Battle Creek, Mich. They also had a 28-game winning streak this season going 6-1 at the Beast of the East Tournament in Wheeling, W. Va.
Riverside Royals three three in the fifth to beat New Era 5-2 in Etobicoke at Millwood Park. The Royals broke a 2-2 tie with a suicide squeeze play in the fifth and two throwing errors followed as Royals Mason Kearney, who threw a complete game victory. Shane Barker pitched his way out of a pair of jams and then retired the Royals in order in the third before turning the ball over to Jules Herrell. After Herrell’s 1-2-3 fourth, Nate Smith beat out an infield single to lead off the top of the fifth, and Jaxon Valcke followed with a base on balls. Liam Kelly then drilled a liner into the right field gap, scoring Smith, but was gunned down by an excellent throw in trying to stretch it into a double. Jordan Pepper then knotted the game 2-2 when he grounded to deep short to score Valcke, who had advanced to third on Kelly’s hit. Kai Hiemstra and Zack Jacobs closed out the game on the mound. After losing their initial game 8-5 to Whitby, Western Ontario Baseball Association’s best beat the Ajax Spartans 6-2. New Era knocked off Kitchener 6-1 and New Era beat Burlington 8-5, setting up the battle with Riverside. Jacobs led the tournament hitting with a .667 (12-for-18), while Hiemstra finished 7-for-17 and Cullen Mercer was 6-for-14. Bantam A: The Aurora Jays scored four runs in the top of the fifth to beat Guelph 8-3 and win the OBA title in Sault Ste. Marie. Winning pitcher Graydon Gardner sparked a four-run rally in the top of the fifth inning. The Jays were trailing 3-1 heading into the decisive inning. A lead-off walk to Joel Gouveia preceded Gardner’s double to centre. Aurora tied the game when Paul Neophytou reached on a fielder’s choice and error. Ross Benn plated another run on a grounder. Coach Steve Clements team opened with a 5-0 win over Walker Homesites as Brian Langdon pitched a one hitter. Next came a 10-9 victory over North London as Nick Pettinaro hit a walk-off single with the bases loaded bottom of seventh. Then, it was Matt French’s turn to drive in the winner with a walk off single with the bases loaded in the bottom of seventh for a 5-4 win over Ancaster. The Jays late-inning magic evaporated when they left the bases loaded in the seventh, suffering a 5-3 loss to Guelph. 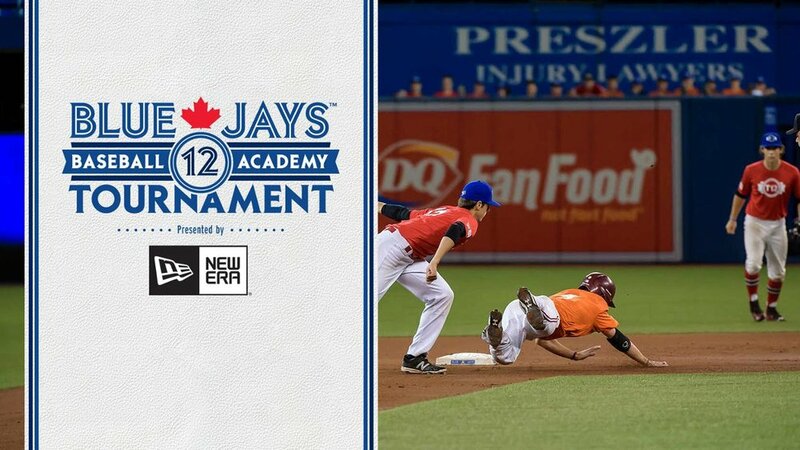 On the elimination side, Aurora and Thunder Bay were tied in the sixth before the Jays scored 10 runs in the top of the seventh for a 12-2 win. Then, Aurora had to beat undefeated Guelph twice, as they did in the first game, winning 6-3, thanks to a three-run fourth inning. Langdon went 2-0 as a starter and saved another with a 1.02 ERA as he fanned 13 in 13 2/3 innings. He also hit .357 with an RBI. Minor peewee AAA: The Etobicoke Rangers may have needed two days to do it, but they pulled off a 9-7 win over Whitby to win the minor peewee OBA title in Mississauga. The final started on Sunday evening, but during in the top of the seventh when the Rangers had pulled ahead to lead by two runs, the game was postponed due to kightning. The game picked up where it left off Monday, without any further scoring. Ryan Kula, who had the most hits at the OBAs (13) drove in the winning run with a double. Kula gained the win, Christopher Parsons the save. Etobicoke opened with a 6-4 win against Richmond Hill as Parsons gained the mound win. Meehan picked up the next win, a 12-8 decision over Whitby. Meehan was back on the mound again and he again gained the win in a 14-11 decision against Pickering as Parsons recroded the save. 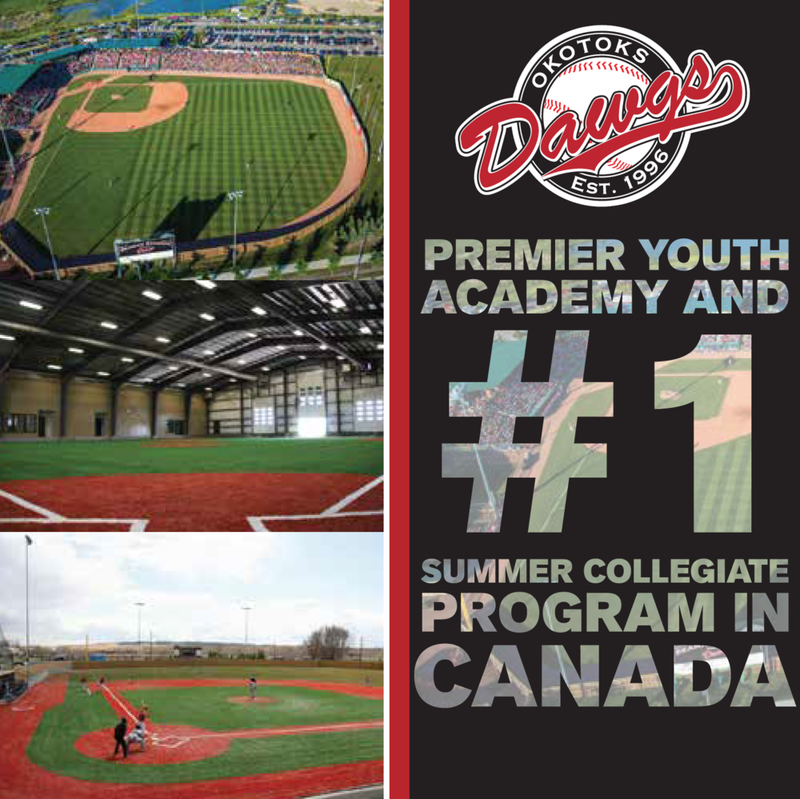 Etobicoke started the season 32-0, finished with a 57-4 record (against its own age group) winning five tournaments, the Toronto Baseball Association playoffs and the OBA title. Rookie C: Shortstop Michael Wiebe and third baseman Adam Neufeld teamed to form a steel curtain defensively to as the Leamington South Essex Fabricating Lakers shutdown the hard-hitting Belle River Braves team 11-3 to win the OBA Senior Rookie C title. Eric Dominguez and Eric Wright paced the Lakers with three hits, while Neufeld and Kaleb Tiessen belted a pair of doubles and knocked in a couple runs each. The Lakers ran the table going 5-0 record in the 10-team championship tournament held in Kingsville. Senior A: A two-run homer by Jeff Shilling in extra innings lifted the Orillia Montana’s Cookhouse Majors to a dramatic, come-from-behind 5-3 win over tourney host Kendal on Sunday, at the OBA senior A championships. Orillia trailed 3-0 early but clawed their way back to a 3-3 tie in the fifth inning. Orillia’s Wes Van Luven singled and then stole second in the eighth. Majors first baseman Shilling then blasted a two-run homer to clinch the win. In semi-final action, Orillia blasted Merriton 14-3 on the strength of two home runs by Andy Warden and solo homers from Mike Fitzgerald and Shilling. Kris Allary pitched the win. Orillia opened the tournament with a 12-10 win over Ivy, but later dropped two in a row, losing 12-2 to Kendal and 7-4 to Merriton. Fortunately, Orillia rebounded with a 6-4 win over Forest to earn a berth in the final. The Majors last collected an OBA title in 1993. The win was special bench coach Greg McMillan, who marked his 25th season with the team in 2011. Also celebrating was team veteran Dave Kenny, marking his 19th season with the team, and Rob Townes, a 13-year player with the team and an off-field organizer. Bantam AA: The Sarnia Braves bantams defeated Stratford Indians 8-4, in Brantford to capture the OBA AA championship, the seventh game Sarnia won on the weekend. The Braves, coached by Brian Pavey, defeated Stratford in an earlier game in the double knock-out tournament 10-2. They entered the final of the double knockout event with a 5-0 record while Stratford came into the final with one loss. Sarnia came up short in the first game, losing 4-2 (their first loss of their last 11 previous games), but their bats came alive in the final, tallying eight runs. Jesse Marks pitched the win, with relief help from Tyler Groulx and Sam Ellenor. Sarnia’s other wins of the four-day tourney were against Brantford, North York, Stratford, London and Oakville. Minor Bantam A: The Brantford Red Sox defeated the Kingston McCoy Bus Service Thunder in the minor bantam final in Guelph. The Thunder opened the tournament with a 12-4 win over the Waterloo Tigers. Will Van Allen threw 4 1/3 innings of hitless ball, while Logan Chartrand collected three hits. Kingston lost 2-0 to Brantford as Chartrand and Wyatt Crampton held the Red Sox to six hits, putting the Thunder in a must-win situation the rest of the tournament. Kingston beat the Pickering Red Sox 8-4 behind five strong innings from Tom McCabe. The Thunder then beat the Mississauga North Wildcats 8-1 and the Royal York Cardinals 5-4 to advance to the final. Kingston finished the season with a record of 34-18. Minor Peewee AAA: The defending champion Tecumseh Rangers went undefeated to win the OBA championship in Markham. Tecumseh defeated Hamilton 10-9 in the final, scoring the winning run on a suicide squeeze play in the bottom of the seventh inning. They also scored wins over Pickering, Newmarket, Burlington and Markham. Team MVP Chris Mousseau led the Rangers in on-base percentage and also had two wins on the mound. Major peewee: East York defeated the Mississauga North Tigers in the peewee final at Rivergrove Park in Mississauga. Yet, the blow most people were talking about was Josh Krstulovich’s walk-off, two-run homer as Brampton beat Mississauga North 9-7 in round robin. Krstulovich circled the bases and like Prince Fielder with the Milwaukee Brewers when he landed on the plate, his teammates fell down like a bunch of 10 pins at the bowling lane. Minor Midget AAA: The Hamilton Cardinals edged the Tecumseh Thunder 16’s 2-1 in 10 innings and then beat Toronto 3-0 in the final in Hamilton. The Thunder handed the previously undefeated Cardinals their first loss and produced a three-way tie for first place. Shane Courtney gave up three hits over a total of 12 innings pitched for the 4-2 Thunder. Midget C: Lucan beat Port Dover 4-1 in the final game in Belle River to win the midget C title. Lucan was undefeated in the OBA tournament, beating Belle River 8-5 in its first game and following that with wins over Wallaceburg 7-3, Wyoming 5-3 and Amherstburg 6-5 before the final. Lucan overcame an injury to pitcher Adam White, who broke his ankle in the second game. Blake Loyens caught all five games and he did a great job handling pitchers. Ryan Jenken in the semifinal and Paul McVittie, who nearly pitched a complete game in the final. Mosquito AA: Robbie Cranston smacked a triple and two singles to help the Newmarket Hawks to an 11-7 victory over the Barrie Red Sox in the final for the mosquito double-A championship in Vaughan. The victory was the sixth in seven games for Newmarket en route to its second Baseball Ontario title in as many years. The Hawks also claimed the 2010 crown at the minor mosquito level. Cranston, whose two-run triple in the bottom of the sixth inning put the game out of reach, was one of three Hawks to contribute three hits to the cause in the title game, as Will McHenry and Carter Robertson included doubles in their three-hit arsenals. Newmarket knocked off Barrie 15-12 to reach the final of the double-knockout tournament. Needing two wins, Barrie upended the Hawks 7-6 earlier in the day to force a single-game showdown. Cole Raymer tripled and doubled and Mitchell Turner tripled in the loss. Newmarket also topped the Peterborough Tigers 10-4, Mississauga North Bengals 16-3 and North Toronto A’s 18-13. The Hawks trounced the Burlington Bulls 9-0 in semifinal action, as Brandon Clarke led the attack with a home run. Minor Rookie: The North York Blues Minor rookie won the provincial championships in Kitchener. North York beat Vaughan 19-9, North London 19-7, Kitchener 13-2, after it was tied 2-2 in the third. Henry Kellen’s double was the key hit in the inning. Next came a 20-2 win over Wyoming and a 12-4 win against Mississauga North. Mississauga North was up 4-2 going to the bottom of the fourth when North York scored twice to tie it. The Blues scored three in the bottom of the fifth to take the lead as Charlie Iriotakis and Ethan Gazer were the best hitters in this game. The Blues beat Wyoming 11-1 in the final. Hayden Simon double and Iriotakis crushed a double to deep centre to score Joshua Schiavone with the run that put North York up by 10 in the fifth. Paul Quilty had three hits in the game. The Blues never actually constructed a batting order as the kids almost always batted in order of jersey number. Minor Mosquito: Mississaga North Tigers won the title in Port Credit beat Etobicoke 5-1 in the final. They also beat Whitby 13-3, Burlington 12-6, Vaughan 23-4, Etobicoke 10-0 and Newmarket 12-2. The Tigers finished the season 50-6. Major peewee: The Windsor Stars were finalists losing 7-6 in the final against Etobicoke. Dimitri Shinas pitched two complete-game victories and, along with Mitchell Clark and Jake Rajsigl, batted over .500 for the Stars. Shane Paradis was named defensive player of the tournament.